Jeannette Clift George, a Golden Globe nominated actress, native Houstonian and local theater company founder, died on December 23, 2017. She was 92. 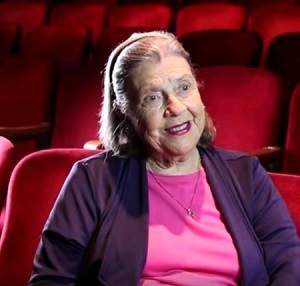 During five decades as artistic director of A.D. Players, Jeanette Clift George devoted her adult life to her belief “God would do something about the need for Christian theatre.” Jeannette’s surviving family and legacy are found in the theatre company she founded, A.D. Players, the many colleagues who admired her work and learned from her example, and the countless others who were inspired by her faithful lifetime of words and performances.